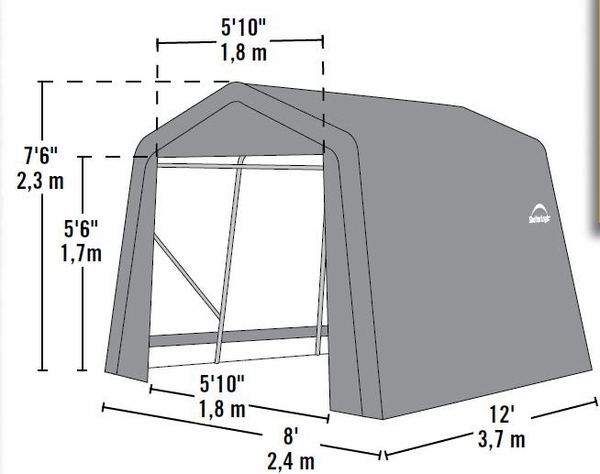 The dimensions of this portable structure measure about 8 feet wide x 12 feet long x 7 feet 6 inches high. The shelter features a peak style design. 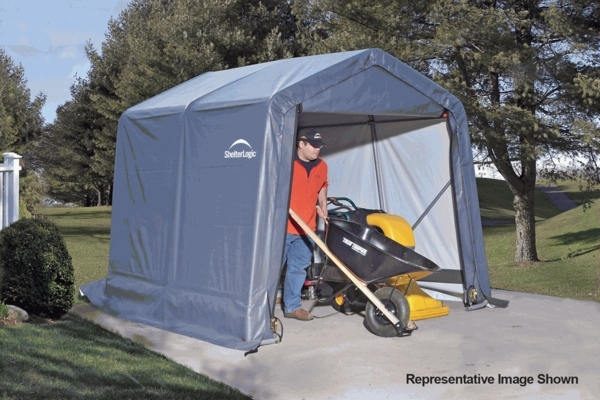 This shelter is perfect for your tractors, cars, trucks, yard equipment or outdoor supplies. It is also perfect when you need a workshop or mechanics garage. The polyethylene fabric cover is kept smooth and tight with a ratchet system. In most cases, you can set up this structure without a permit.